Home › Blog › NASA lands on MARS: 3 Reasons Americans don’t care. NASA lands on MARS: 3 Reasons Americans don’t care. Unless you have been hiding under a rock on the Moon you have heard about NASA’s recent announcement that it successfully landed a robot on MARS. The interwebs immediately became buzzed with excitement from the NASA geeks reaction to the landing. They got extremely hype and pumped-up, some became celebrities overnight. Like that mowhawk guy who people seem obsessed with. However. 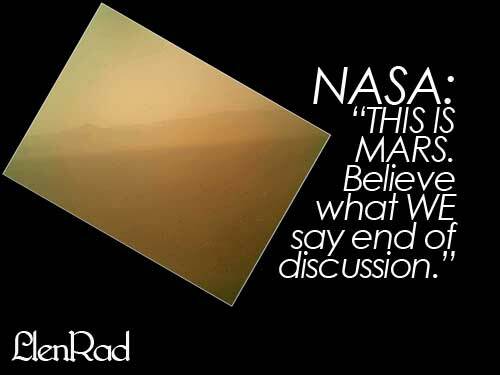 Everyone is not as excited as you might think about the MARS mission. Some people aren’t jumping up and down and shouting out loud. Why? Why is it so many people seem oblivious or even resentful about this news that should be exciting? 1. We don’t believe you. FACT. People who put all of their trust into what the government says eventually will be disappointed. The truth and the government just seem to always be in two different places at any given time. People have written for years how the government would rather lie to the people even when the truth would help their cause. Why would this MARS mission be any different? Recently Dino Grandoni wrote about how the images coming back from the MARS rover look like they came from Twitter or something. I don’t understand how the most sophisticated technology on earth can generate such low quality images. The whole point of the mission was to come back with images. Something smells fishy in Denmark. Also, how come the HUBBLE TELESCOPE can take amazing HI-RES photos of other galaxies but it cannot focus on the surface of MARS? Also, where are the pictures that are uniquely MARSIAN looking? How come everything looks exactly like Nevada? Did they really land in MARS, NV like there is a Hollywood, FL and a Hollywood, CA? Rightfully so plenty of people are reacting to this project as more government wasteful spending. The mission to MARS started in November of 2011. 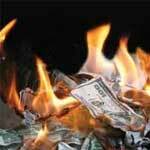 The government overspent in 2011 by $1.5+ trillion. So that means there will be government services cut soon enough. The MARS rover crowd is celebrating while someone will not get some government service thanks to some pending cuts somewhere. Why is NASA so important again? Why should a nation go in debt to fund rockets in space? Try getting a loan from a bank to “explore the universe” and see what they tell you. Oh yeah,Richard Branson spends his own money playing with Rockets he doesn’t put the government in debt to do it. 3. Bigger fish to fry. Over 100 million Americans currently depend on the government for food. Think about that for a second. That’s one in every 3 Americans who if it wasn’t for the government would have no way to EAT. The land of the Food stamp and the home of the EBT is what this nation has become. Food stamp program costs will increase next year as drought conditions are already projected to drive up food prices. Do you think the Government will increase food stamp funding? Over 10 million American’s are behind or in foreclosure on their mortgage. The situation is getting worse as Les Christie’s article documents the fact that new foreclosures are up 9% in the second quarter of 2012. So while the Mars rover was on its way to the red planet Americans were losing their homes at an increasing rate. Not to mention the trillion dollars that Americans owe on defaulted student loans and the lousy employment rate things aren’t looking so good here on Earth. 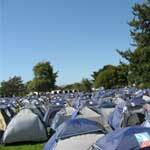 More and more people are turning to TENT cities to survive. With these types of realities going on its hard to stand up and cheer that some robot has landed on MARS. People are resentful about why the situation has deteriorated so quickly in their local communities while the status quo faux prosperity is thriving in Washington D.C.
‹ 3 Reasons Black Americans are abandoning Obama. Yes, you are right there, I even don’t care about it. Wasted money.. so true! I would give them an applause if they used it wisely. A lot of people are now starving, what is so important about this Mars Mission? Why are the photos so unimpressive and look exactly like arizona?